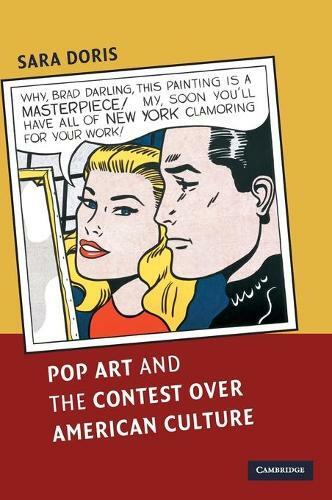 Pop Art and the Contest over American Culture examines the socially and aesthetically subversive character of pop art. Providing a historically contextualized reading of American pop art, Sara Doris locates the movement within the larger framework of the social, cultural and political transformations of the 1960s. She demonstrates how pop art's use of discredited mass-cultural imagery worked to challenge established social and cultural hierarchies. At the same time, its affinities with marginalized forms of taste - gay Camp and youth culture - allied it with the proto-political changes foreshadowing the radical politics that emerged late in the decade. Pop art's subversive critique of consumer culture also served as a crucial precedent for postmodernist practices. By analyzing pop art within the context of the broader social upheavals of the 1960s, this study establishes that it was both a significant participant in those transformations and that it profoundly shaped today's postmodern culture.